Could Your Car Be The Cause of Your Hearing Loss? You love your car. You wouldn’t trade the freedom you feel when you zoom down the highway for anything. But could your car be damaging your hearing? Let’s look at vehicle-related hearing loss. More importantly, we’ll look at simple solutions to prevent it. Like many of vehicles in this list, the convertible is a status symbol. For many it’s the car you really wanted when you were in your 20’s, but now you can afford it. And it makes more sense for your lifestyle now that the kids are out of the house. But whether it’s a little Jeep or a Mustang, these vehicles can increase your risks of noise-induced hearing loss. If you stand 50 meters away from a busy highway, the noise levels are about 80 dB (decibels). That’s about 1/3 of a football field. Prolonged exposure (8 hr) to 85 dB will cause permanent, irreversible hearing loss. When you’re in a convertible, you’re in the middle of this noise, not almost half a football field away. Noise levels can exceed 110 dB. That’s enough to cause hearing loss after around 15 minutes of exposure. You don’t lose your hearing all at once. It’s gradual. Most people don’t notice it until severe damage is done. If you have a convertible, we’re probably not going to convince you to give it up, but this is something to be aware of for your next car purchase. If you’re driving in a convertible for more than 15 minutes, putting the top up or even rolling the windows up with the top down can reduce noise below damaging levels. Download a free sound meter on your smartphone to find out how loud it really is. But never use the phone while driving. Motorboats and other motorized water vehicles can get up to 90 dB. Some can hit 100. But this volume is typically intermittent. If you find yourself having to yell over your boat or craft to be heard then it’s at damaging levels. How can you enjoy watercraft and still protect your hearing? You don’t have to give up what you love to save your ears. Opt for an electric motor over gas. They’re slightly quieter. Don’t exceed 8 hours on a watercraft. A snowmobile can exceed 100 decibels depending on the model. If your snowmobile is louder than 85, it will cause permanent irreversible hearing damage with prolonged exposure. Thankfully, there’s been increased awareness lately about how loud snowmobile motors can be and technology solutions to lower the noise level. A modified exhaust will significantly reduce the noise-level on a snow mobile, putting it well below damaging levels. A lawnmower, riding or push, can exceed 100 decibels. This can cause permanent damage with prolonged exposure. You’re probably okay if you can do your yard in under an hour. But if you’ll be exposed for longer, always wear earplugs when mowing or using the weed whacker. A motorcycle is also around 100 dB and as high as 115 (instant damage). This noise can be a lifesaver as it allows drivers to see you. But it will damage your hearing. If you bought the bike used, the previous owner may even have modified the muffler to make it louder than it should be. On top of the noise produced by the vehicle, you’re in traffic and experiencing wind-resistance noise. Both of these will damage hearing with prolonged exposure. Get a noise-reducing helmet to lower the impact. The more aerodynamic a helmet, the quieter it will be. 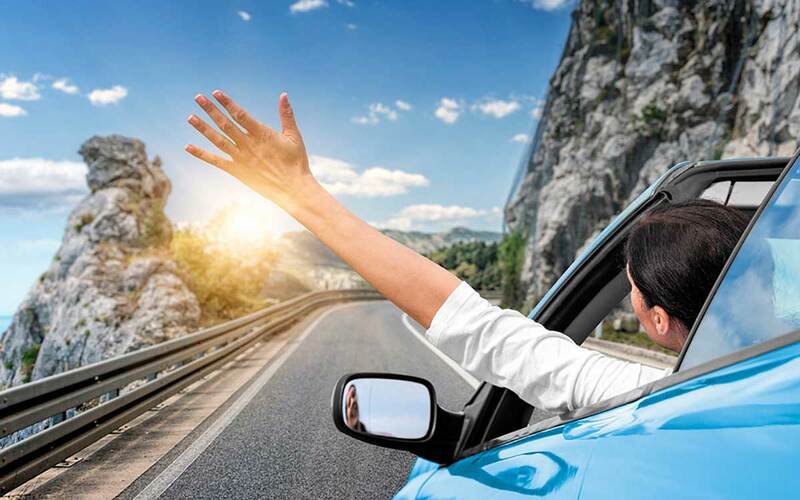 If you’re going on a road trip, take frequent, prolonged breaks. Invest in a good helmet. You can also purchase a modified exhaust to quieten your bike just enough not to cause damage. For the record, this doesn’t reduce the joy of riding at all. It’s still loud, just not that loud. You may think you’re immune if you drive an ordinary vehicle like a Camry, Grand Cherokee or Cobalt. Most of the time you’re right. But rolling down your windows to save on AC not only significantly reduces gas mileage. It exposes you to damaging sound levels. Aside from the occasional enjoyment of a cool breeze on a country drive, it’s better to keep car windows up, especially on highways. There’s nothing like speed to make us feel alive. But these vehicles can damage hearing when we don’t take precautions. If you haven’t been protecting your hearing from noise damage, get your hearing tested. It’s better to know and learn about solutions.